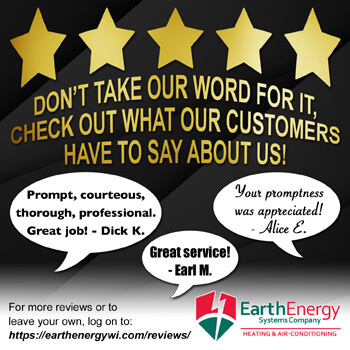 At Earth Energy Systems, we emphasize the importance of maintaining your heating and cooling systems. In order to extend the lives of your heating and cooling equipment, we are proud to provide you with preventative a maintenance program. We invite you to join our Comfort Club Maintenance Program! • We will clean & check your heating and/or cooling equipment annually. • Scheduled maintenance decreases the likelihood of unexpected problems, but should you need repair service, you’ll receive priority treatment as a Club Member. Your service problems become our first concern. 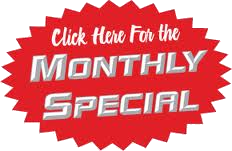 • You will receive a 10% discount on parts all for $159 plus tax per year (additional appliance add $20, or for only furnace or AC subtract $20). It is crucial to protect all of the investments in your life. Your heating and cooling systems are no different than your car. They both need consistent service to maintain peak operating condition and extend operational life. The periodic maintenance and inspection of your equipment ensures that it is operating safely, helping to protect the safety and well-being of your family. We are dedicated to serving our customer’s heating and cooling needs in the most affordable and efficient way. Members of the Comfort Club Maintenance Program are our happiest and most satisfied customers. They’ve seen the lives of their heating and cooling systems extended. Minor HVAC issues can turn into complete failures. You can avoid this by implementing a preventative maintenance program. Ready to join the Comfort Club? Contact us at 715-349-2314 to enroll today! As always, our experts are available round the clock to provide you the best heating and cooling systems. No matter what your need, we will install, repair and maintain your HVAC system.